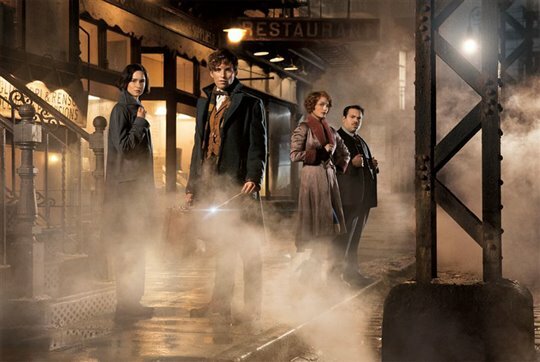 Good news for fans looking forward to the upcoming sequel to Fantastic Beasts and Where to Find Them. Warner Bros. has just released brand new details regarding the film, currently titled Fantastic Beasts 2. Fantastic Beasts 2 will start off months after the events of the first film with Dark wizard Grindelwald (Johnny Depp) on the loose and “gathering more followers to his cause — elevating wizards above all non-magical beings. The only one who might be able to stop him is the wizard he once called his dearest friend, Albus Dumbledore. "Dumbledore will need help from the wizard who had thwarted Grindelwald once before, his former student Newt Scamander. The adventure reunites Newt with Tina, Queenie and Jacob, but his mission will also test their loyalties as they face new perils in an increasingly dangerous and divided wizarding world." It has been confirmed that Johnny Depp, Eddie Redmayne, Katherine Waterston, Alison Sudol and Dan Fogler will all return to the series. New faces you can expect in the film include a young Albus Dumbledore (Jude Law), Leta Lestrange (Zoë Kravitz) and Newt’s brother — famed war hero Theseus Scamander (Callum Turner). The movie will expand the wizarding world, moving from New York to London and on to Paris. You can also expect to see some references to the Harry Potter stories that will delight fans of both the books and films. YES! Can't wait for this sequel to come out. Just love these shows/books. I was hoping he'd leave Tina, Queenie and Jacob in New York and there would be a different cast for Eddie to act with.